Morgan Lee, Josh Lee’s younger brother is a Handstand genius… and he loves performing! In the video below, our friend Soundschi from Handstand Diary interviews Morgan about his achievements, training regiment, and affinity for Handstand performance. Morgan is a quick learner, he works extremely hard at his craft and nailing different skills. Also, he is super amped about performing them in front of people. Him and his brother have an act that they have created and performed together. He is working on finding more time to design other acts that showcase all the new skills he has learned. -Creating a foundation for flexibility. He worked for a full year just to get his flexibility right for arm balancing! -His Handstand training days vary; he divides them into heavy, medium, and light days where he focuses on various skills and their intensity. His heavy days usually require less total training time. 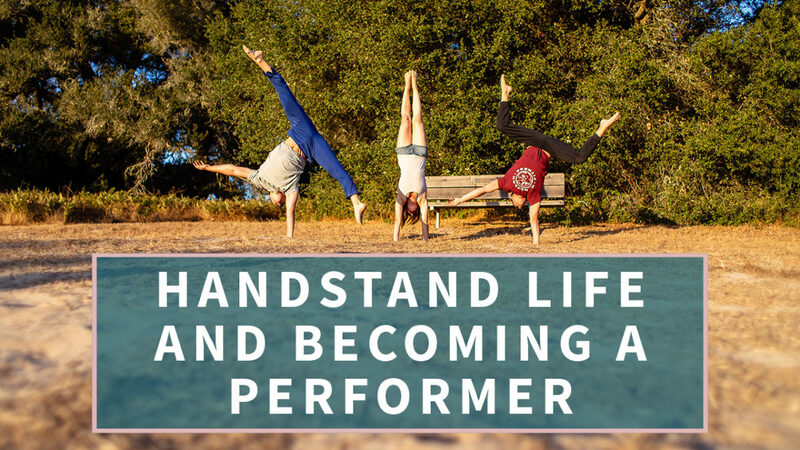 -The most important aspects of Handstand performances are artistry (take a ballet class, will ya?) and endurance. There you have it, Morgan Lee is so strong and he’s taking the world by storm with his uncanny Handstand ability and performance aspirations. Soundschi, again, is able to guide an interesting conversation about Handstanding and performing. It’s entertaining and full of great info. To ask Soundschi a question please go to her YouTube feed or directly to her website at Handstanddiary.com. Stay tuned for more handstand goodness coming up next week.